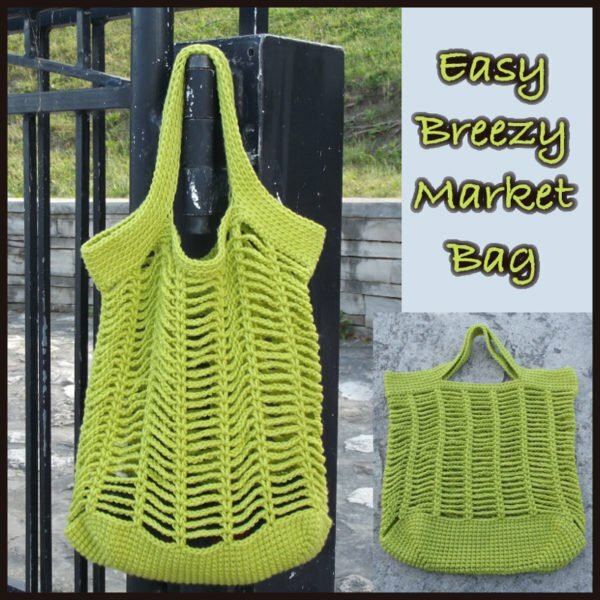 This market bag crochet pattern has a nice open stitch, which means that not only will it work up quick, but it’ll also take up less space in your grocery basket or cart. It’s great for taking to the farmers market if you’re planning on purchasing produce because unlike plastic, this bag allows the produce to breathe. Another benefit to this bag is that it can be reused over and over again, thus it’s better for the environment. You could also use this as a beach bag. The open stitch pattern is perfect for giving your wet clothes lots of breathing room so they can dry quicker. 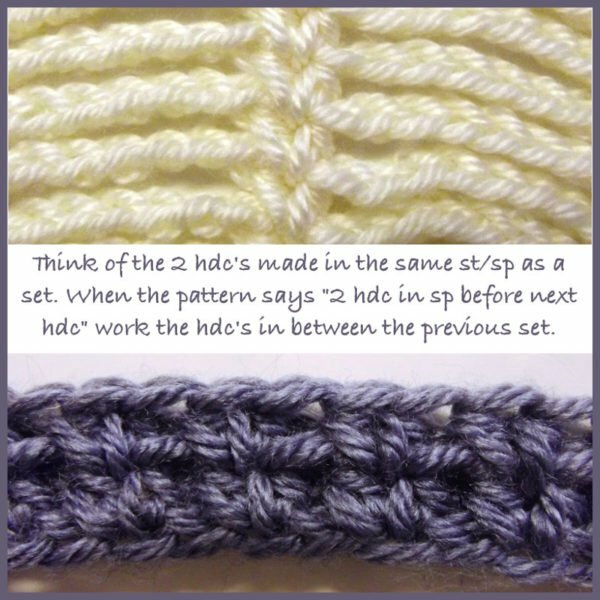 Similar patterns include the bullion stitch market bag and the interlocked market bag. Finished Size: When laying flat it measures 13.5″ wide and 15″ high counting the handles. Rnds 16-39: Rep rnd 15. Rnds 41: Ch 1, working into bl only, sc in same st as join and into each st around; join with sl st in first sc. Note: For the following rounds work into BL ONLY. Rnds 44-47: Ch 1, sc in same st as join and into each st around; join with sl st in first sc. FO at last rnd. love this pattern! I must have a dozen of these bags for sure :) thanks for sharing the pattern!